Judge Owen Lee Kwong is well known for his broad and extensive experience in settling cases. He was the first judge to be assigned to the Los Angeles Superior Court's Central Civil Settlement Program. He is especially skilled in settling high-profile, complex cases and has done so all over the country and abroad, including multi-party federal and state cases. In 2003, Judge Kwong was assigned to the ADR Department and, prior to that, handled a direct calendar, fast-track civil trial court and MSCs. Judge Kwong is highly regarded and respected by attorneys and fellow judges, who sent their most contentious cases to him for settlement. Known as the go-to judge, he is an outstanding neutral respected for his intelligence, preparation, broad knowledge of case law, persistence and witty sense of humor. Judge Kwong is considered the master of settlement! Settling In re: Structured Settlement Litigation (BC 244111) and Related Cases and Related Cross-Action involving defendants Bank of America as successor to Security Pacific, Bankers Trust Company, Bears Stern, Wells Fargo, U.S.Trust, Merrill Lynch, Pierce, Fenner & Smith, etc. Handling antitrust cases as a Deputy Attorney General, Supervising Deputy Attorney General in the antitrust unit, and Special Assistant to the United States Attorney General, including Levi Strauss (price-fixing), In re Cement (bid rigging), In re Mitsubishi (price-fixing), In re Petroleum (price-fixing), In re Highway (bid-riggingcriminal), American Stores (Merger), etc. Judge Kwong was appointed in April 1989 to the Los Angeles Municipal Court by Governor Deukmejian and elevated in January 1993 to the Los Angeles Superior Court by Governor Wilson. He was the Supervising Judge for the central arraignment courts, Los Angeles Municipal Court and Supervising Judge for the East District Juvenile Court, Los Angeles Superior Court. He has presided over direct calendar fast-track civil, complex civil, longcause civil, criminal, delinquency, dependency, and probate proceedings and has sat on assignment (pro tem) on the Court of Appeal. As an attorney, he has presented criminal matters before state and federal grand juries. 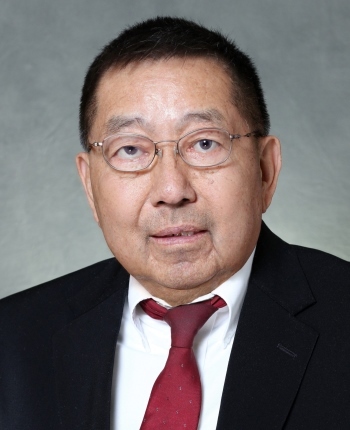 Judge Kwong worked as a Deputy Attorney General, California Department of Justice, as a Supervising Deputy, Antitrust Section, as an acting Assistant Attorney General for various periods, and as a Special Assistant to the U.S. Attorney in antitrust matters. He is admitted to the California Bar, numerous Bars of the Federal District Court, Federal Courts of Appeal, and the United States Supreme Court. Currently licensed as a pharmacist, Judge Kwong worked as a pharmacist, including supervising pharmacist, at the University of California Medical Center and as Interim chief pharmacist for Kaiser Permanente in Sacramento. Judge Kwong is based in California and available nationally and internationally.